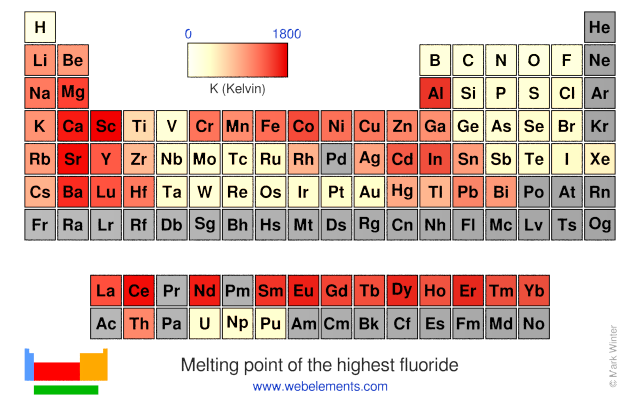 This gives the melting point of the fluoride of the element. 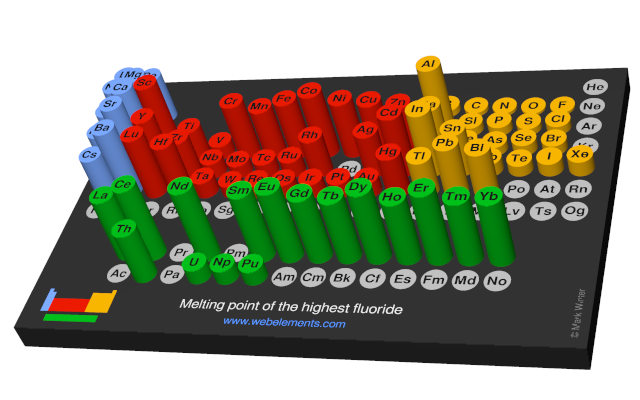 Image showing periodicity of the chemical elements for melting point of the highest fluoride in a periodic table cityscape style. Image showing periodicity of the chemical elements for melting point of the highest fluoride in a periodic table heatscape style. 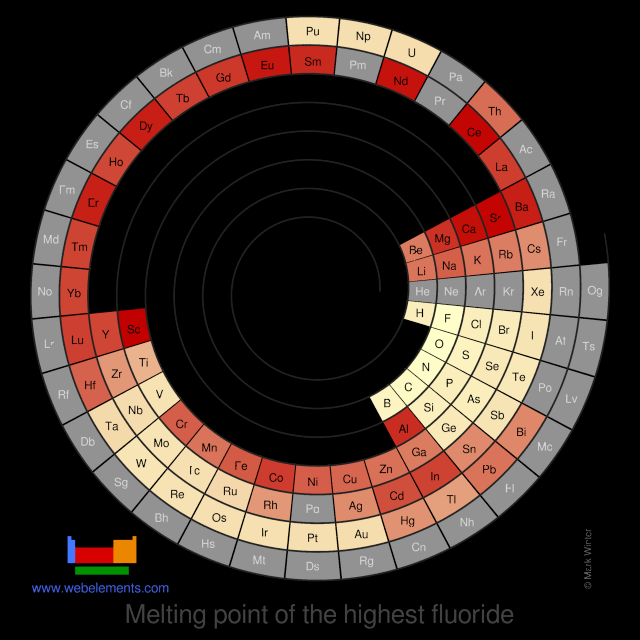 Image showing periodicity of the chemical elements for melting point of the highest fluoride in a spiral periodic table heatscape style. 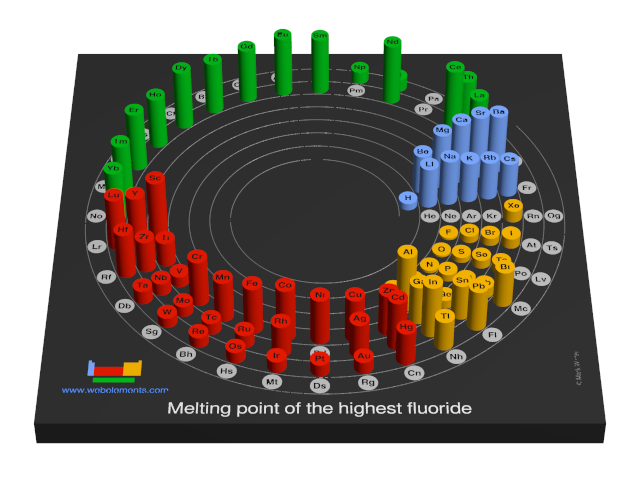 Image showing periodicity of the chemical elements for melting point of the highest fluoride in a 3D spiral periodic table column style. 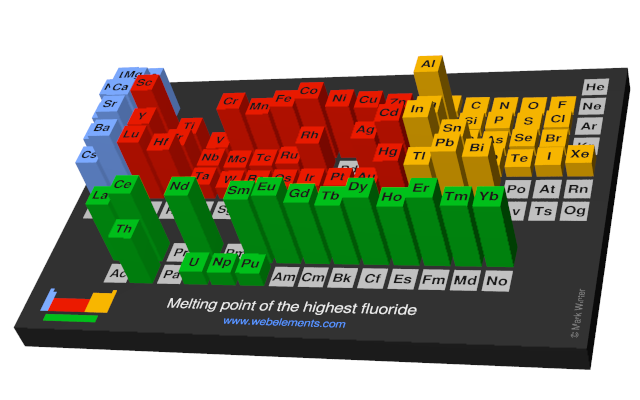 Image showing periodicity of the chemical elements for melting point of the highest fluoride in a 3D periodic table column style.